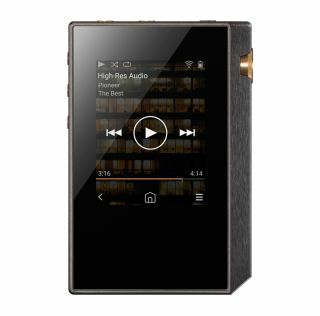 Pioneer's XDP-30R is an affordable new portable music player | What Hi-Fi? Pioneer has taken the wraps off its latest, and most affordable, portable music player: the XDP-30R. Priced at £350, it's a touchscreen-equipped device made from aluminium. Inside it's toting twin Sabre DACs, capable of handling your favourite file formats up to and including DSD 5.6MHz and 192kHz/32bit standard. MQA support is following. Outputs are the usual 3.5mm unbalanced socket and the far less common 2.5mm balanced alternative. Battery life is a claimed 15 hours, while the 16GB of internal memory can be boosted by a couple of MicroSD cards to as much as 416GB.